Propane heaters are not a one size fits all product. With such a wide range of reasons for why someone would use a propane heater, it’s not always easy to find one that fits your specific needs. Fortunately, the ReviewLab team conducted extensive research to find the best propane heaters four across common categories such as the best propane heater for garages, indoor propane heater, forced air heater, and propane heater for patios. We’ll highlight the top features of these products so you can make an informed purchase decision. Read more about our methodology. The Camco 57331 Olympian Wave 3 is easy to install, versatile, and efficient enough to suit the needs of anyone who needs a propane heater. We recommend it as the best overall option available on the market because of its performance and price. If you want a safe and portable propane heater that works inside and outside, the Mr. Heater Big Buddy delivers at a high performing level. It’s adjustable heat settings and ability to function at high altitudes makes it an easy choice as the runner up for best overall propane heater. The Mr. Heater Portable Buddy is the most versatile small sized propane heater that we’ve seen at such an affordable price point. As a product that’s durable and made to last, it’s a top value choice for heating small indoor and outdoor areas. 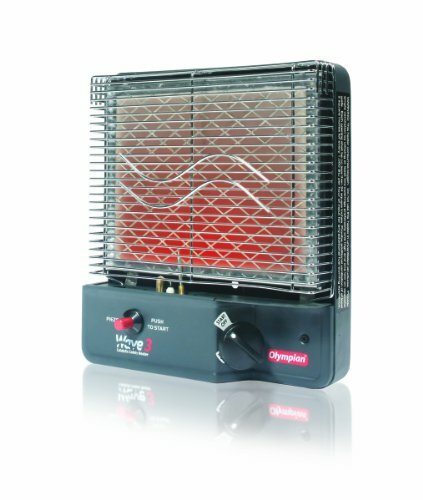 The Texas Portable Outdoor Heater is a safe way to stay warm outside at an unbeatable price point. Its small size and lightweight features make it ideal to keep a tent warm during a cold night camping outdoors. Mr. Heater designed the MH200CV with people who work in their garages in mind. If you spend long days fixing up your car in the winter, this convection style propane heater will keep you warm without using any electricity. If you’ve got a small indoor space like a cozy cabin or family room that needs heat, the Dyna-Glo IR30PMDG-1 can deliver. Since it attaches snug against your wall, it won’t take up too much space in what may be an already small room. For a portable forced air heater, the Dyna-Glo RMC FA60DGD delivers. Users have the ability to adjust the tilt angle of this unit to control the direction of the heat. 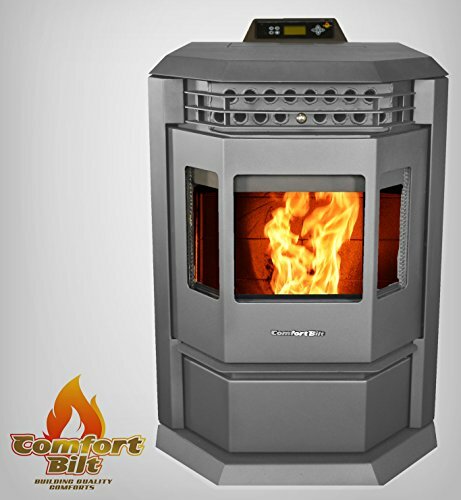 It’s a perfect choice for someone who wants to heat a non-insulated space like a workshop or small job site. The Golden Flame True Commercial Pyramid Style propane heater ranks high for outdoor use, specifically on a patio or area of a similar size and space. Not only is this heater functional, but the bronze and aluminum finish will look great without rusting, even when exposed to outside elements. The first option you need to consider is where you’ll be using the propane heater. It’s vital that you make sure your unit is safe for indoor use if you plan to use it inside of your home. Other heaters are made for non-insulated areas like a garage or shed, while some smaller heaters were designed to warm up users who are camping in a small tent. Some of the best propane heaters work both indoors and outdoors. The combination of natural gas and petroleum makes propane tanks a potential fire hazard. Look for units that have safety features like an automatic shut off valve that turns the propane off if the flame fails or detects low oxygen levels in the area. The top propane heaters also shut down if the unit tips over. Propane heaters are popular for people who spend time outdoors. If you’re planning to use a propane heater while you’re camping, fishing, hunting, or boating, you’ll want to make sure that it’s small, lightweight, and portable. But if you’re using a heater to warm up a patio or a garage, portability may not be as important. Consider where the heater will be installed. If you’re using it to keep your bedroom warm during the night, you’ll want to find a heater that runs silently so it doesn’t disturb you. Quiet propane heaters are also essential for hunters who use portable heaters to keep them warm while they are hiding in the woods for long hours. Look for propane heaters that are easy to build and install. If you’re using this heater in your home, you may want to find one that has a wall mount so it won't take up too much space in a small room. In the $40 to $80 price range, you can find a small portable heater that will warm up a small tent or area of a similar size. Forced air and convection style propane heaters will cost you roughly $100 to $150. These can heat up larger areas such as a garage. Indoor heaters that mount to a wall can be found in the $200 price range. Larger propane heaters designed to heat up larger outdoor spaces like a patio can cost up to $470. 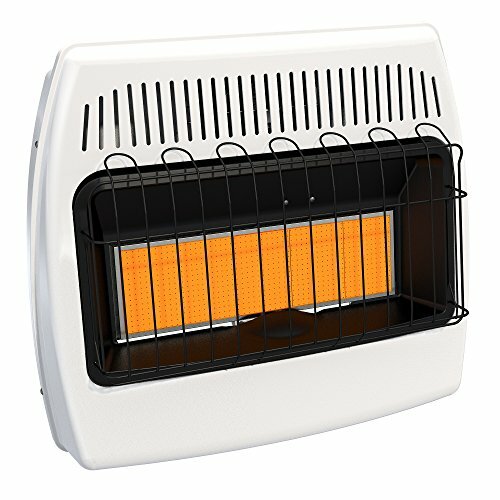 As a propane heater that works well outside, the Camco 57331 Olympian Wave 3 is also safe and easy to mount inside homes as well. It runs silently and efficiently, so you go through less propane and don’t get disturbed while it’s on. The easy installation process and versatility of this propane heater makes it a top option for consumers to consider. Runs silently. Since there aren’t any fans or blowers used to produce heat, this propane heater operates in silence. Users report that this is a nice change compared to other heaters they’ve used in the past. Portable with mounting options. The Camco 57331 Olympian Wave 3 is easy to transport. Customers say it works well camping outdoors at elevations up to 8,500 feet. But it also has mounting accessories that makes it ideal for heating areas inside your home. Energy efficient. This Camco heater releases high heat without burning through too much propane. Users noticed that they were going through significantly less tanks of propane compared to other heaters. Easy to install. No matter where you’re using this propane heater, it’s easy to get it up and running. Some users even reported that it sufficiently installs to the back of their RV to keep them warm during camping trips. Doesn’t produce heat instantly. This won’t heat a room right away. It takes time for the heater to get up to temperature before it starts producing enough warmth. The Mr. Heater F274830 MH18BRV Big Buddy delivers powerful heat with a portable design. The usage options are nearly endless since it’s safe to use outdoors as well as inside of your home. With so many features at such a great value, it’s one of the best propane heaters we’ve seen available on the market. Safe for indoor and outdoor use. Most outdoor propane heaters can’t be used inside your home. 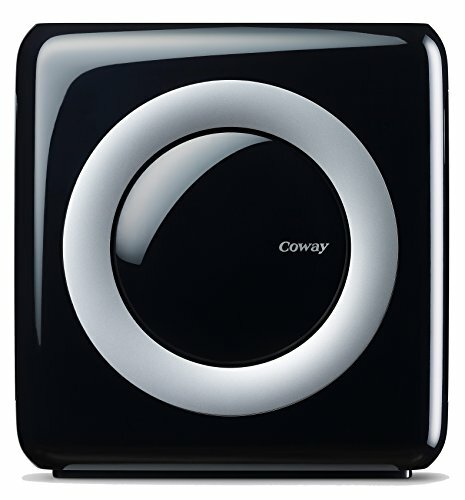 But the Mr. Heater Big Buddy is versatile and safe enough to heat indoor spaces as well as outside areas. Multiple heat levels. Users can control the heat output with the easy to use control settings. Depending on the size of the area, you won’t always need this heater running on full blast. The level control makes it a very economically and environmentally efficient choice. Works at high altitudes. This portable heater still works at high altitudes up to 7,000 feet above sea level where the oxygen is thin. Consumers report that this feature is ideal for camping in cold mountains. Portable but powerful. The Mr. Heater Big Buddy is easy to transport. With that said, it can still heat spaces like large indoor living areas, which is a key differentiation factor compared to other portable heaters. Start up is loud. Users say that this heater makes a loud and startling noise when you first turn it on, which can be disruptive depending on your surroundings. If you want a portable propane heater that works inside a small room of your home but will also keep you warm outside while camping, fishing, hunting, or boating, the Mr. Heater Portable Buddy is the best bang for your buck. This heater will last for several years and continue to deliver a quality performance. 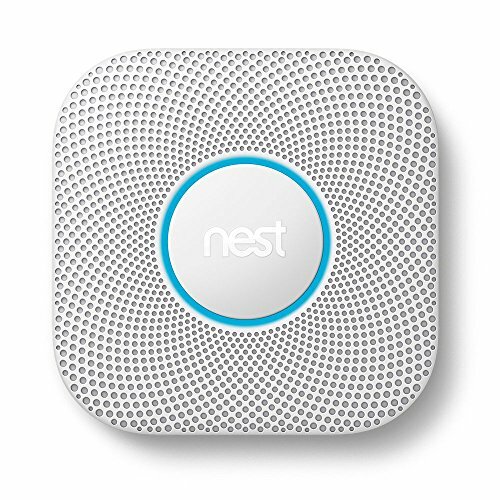 It runs silently and has multiple accessories that make it safe to use nearly anywhere. Built to last. Although inexpensive, the Mr. Heater Portable Buddy won’t need to be replaced after a year or two like other small propane heaters. Customers report that this heater has lasted for more than seven winters and still runs strong. Versatile usage options. Based on user feedback, this portable propane heater can heat tents, small rooms, boats, RVs, and garages. Some people even used to it to stay warm outside of their tents during a camping trip. Safety accessories included. The Mr. Heater Portable Buddy has a wire guard to protect the heat source. It will automatically shut off if it detects low levels of oxygen, if it gets tipped over, or if the pilot light goes out. Runs quiet. Unlike other propane heaters that can be noisy, this model runs silently. Users say that it keeps them warm during cold hunting trips where they need to keep quiet in order to avoid detection. Warranty problems. A handful of customers reported minor malfunctions with the knob. After contacting customer support, they would not honor the one year limited warranty. For most people who go camping, fishing, or spend time outdoors in cold temperatures, the Texas Portable Outdoor Heater delivers plenty of heat for a small outdoor space. The long lasting propane and portable features make it one of our top choices at a bargain price. Easy to transport. 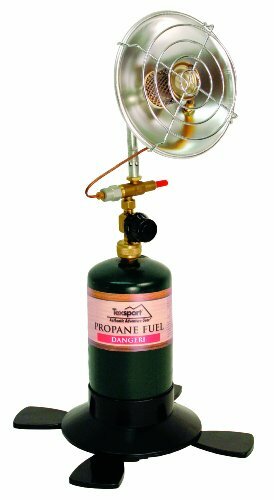 The small size and lightweight design of this Texas Portable propane heater makes it easy to carry in a travel bag. Users say that it works well to heat up a tent during overnight camping trips. Long lasting heat. 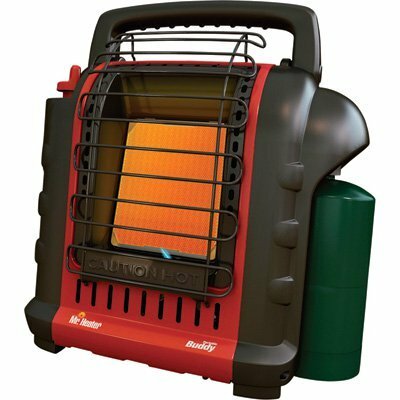 Customers report that this portable propane heater can last up to 8 hours, which is nearly double the time compared to portable heaters of a similar size. Built-in safety features. This heater has a valve that automatically shuts off the propane if the flame goes out. It also has a wide base to keep the heater stable and prevent it from tipping over. Adjustable control knob. Customers say that they are very happy with their option to control the heat settings depending on the size of the space they are trying to heat as well as the outdoor temperature. Made to heat small spaces only. 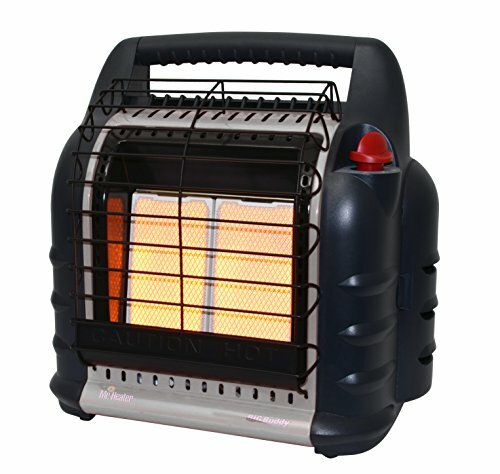 Since this heater is so small, it’s only made to warm up small areas like a tent as opposed to a large garage. Propane heaters for garages are ideal for people who have a workshop or spend long hours working on their car during cold weather seasons. These heaters are made to warm up medium-sized areas, like a garage, even if those spaces aren’t insulated. Garage heaters can also work will in similar structures like a barn or shed and don’t require any electricity to operate. Electricity isn’t always an available when it comes to detached garages or barns. That’s why the Mr. Heater MH200CV propane heater is ideal for anyone who needs heat in these cold places. Since it heats up an area fast and runs all day, users have the ability to work all day without interruption. Keeps un-insulted spaces warm during winter months. Users reported that this convection style propane heater heats up their garage in areas where the winters are harsh, like New England or Michigan. Electricity not required. Some customers said that other propane heaters wouldn’t work in their garage because they required electricity. But the Mr. Heater MH200CV runs strictly on propane, so it works even if the garage is detached from your home. Fast heating time. Based on customer feedback, this heater can bring the temperature in a garage from 15 degrees Fahrenheit to 70 degrees Fahrenheit in roughly 15 minutes. This is one of the fastest heat times we’ve seen compared to other garage heaters. Runs for long hours. This unit can operate up to 29 hours straight, which means you won’t have to worry about replacing your propane tank or the heat shutting off in the middle of the day. It’s ideal for people who spend long doing projects in their garage. Requires ventilation. While this propane heater works fine in a garage, it’s not safe for inside your home. It requires a few inches of ventilation to run safely, so users say they can’t completely shut their garage door when it’s on. Not all propane heaters are safe for use indoors, so it’s essential that you find one that works inside of your home. Indoor propane heaters can warm up bedrooms, living rooms, or other cold areas of a house during the winter. Some are small and portable, while others have wall mounting options based on your personal preferences. The Dyna-Glo IR30MDG-1 works well inside homes, garages, and cabins. It’s easy to install and looks great while it’s attached to your wall. Since the heater is so efficient, it burns less propane but still produces plenty of heat so you can keep your costs low while staying warm. Attaches snug to the wall. 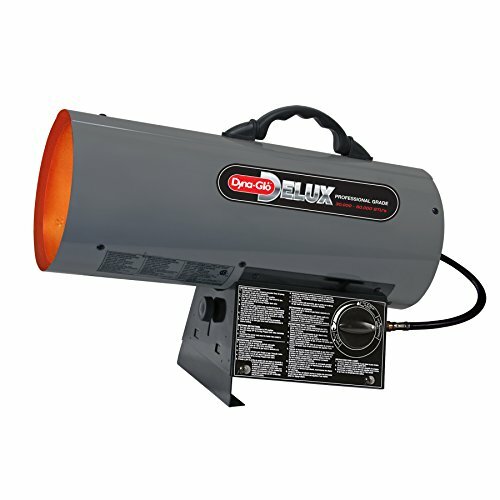 This Dyna-Glo heater easily attaches to a wall in your home, garage, or cabin. The wall mounting feature keeps it out of the way and won’t take up too much space if you’re putting it in a small room. Cuts down on propane usage. The Dyna-Glo IR30PMDG-1 is super efficient. Customers say that this indoor heater doesn’t use as much propane compared to other models, so it keeps fuel costs low. Built to last. Compared to other indoor propane heaters, this one won’t need to be replaced frequently. Users said that they were relieved to find an indoor heater that doesn’t break after a couple of seasons. Not ideal for large spaces. Consumers reported that this unit won’t sufficiently heat an entire home, but it works ok for smaller spaces like a living area or small cabin. Forced air propane heaters can blast heat at a particular angle or direction. They are ideal for heating up spaces like a garage or job site where there’s little to no insulation. Forced air propane heaters are typically portable, so they work well for people who need heat in various locations. While it may look small, this propane heater from Dyna-Glo can heat up medium-sized spaces to warm temperatures, even when it’s below freezing outside. The RMC-FA60DGD unit has a low-pressure system that doubles as a safety feature. The tank won’t freeze when it’s exposed to cold conditions, so you won’t have to worry about any unexpected shutdowns. Option to adjust heat direction. The Dyna-Glo RMC-FA60DGD can be titled to angle the forced air in a specific direction, which is ideal for any portable propane heater. Fast heating time. Although this unit is small, users report that it can heat non-insulated spaces like garages or workshops to 70 degrees Fahrenheit in less than an hour, when the outside temperature is less than 10 degrees Fahrenheit. Takes less than five minutes to set up. You can have this forced air heater up in running in less than five minutes from taking it out of the box. 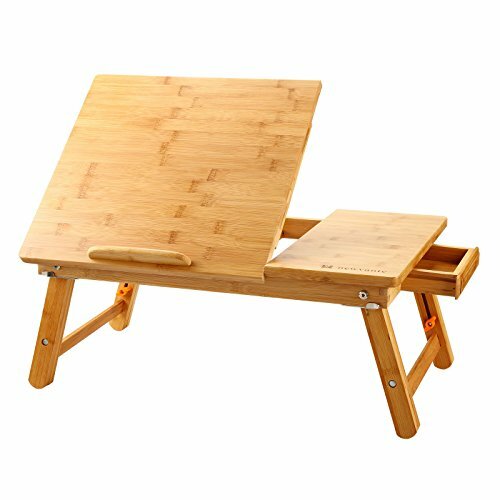 The easy assembly makes it convenient for anyone to use, regardless of their handy skills level. Low-pressure tank prevents freezes. Dyno-Glo installed a 0.5 PSI system that keeps the unit running even in cold conditions. Users attest that this low-pressure model prevents the propane tank from freezing when it’s exposed to freezing elements. Fan doesn’t always start right away. Some customers said that the fan on their heater can take anywhere from 10 to 20 seconds to get fully up to speed. Heating an outdoor patio with a propane heater typically requires a larger model. These heaters stay stationary, for the most part. Patio heaters need to be able to withstand the outdoor elements, so the best models won’t get rusty. These propane heaters must be durable as well, so they have a strong base and won’t tip over from the wind. While the size may be large, this propane heater from Golden Flame is super easy to assemble. The safety features paired with its ability to prevent rust from the outdoor elements makes it our top choice for patio propane tanks. It’s also got a wheel base option that makes it easy to move around to different areas of outside space. Sleek finish that won’t rust. 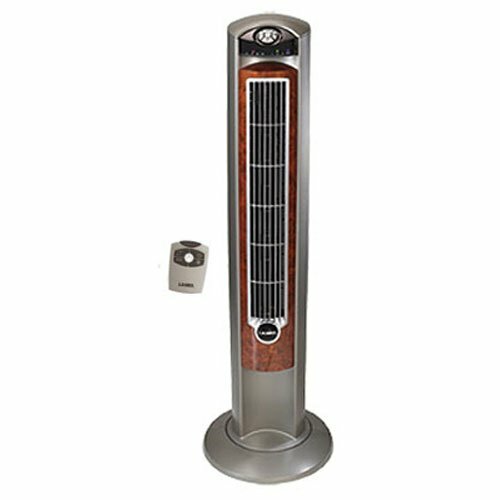 This pyramid style propane heater has a mocha bronze finish and aluminum frame. The material won’t get rusty, which is a key design feature for anything that will be kept outdoors. Safe electronic ignition. The electric ignition system is not only safe, but it’s easy to use. Users report that access to the propane tank is also in a convenient location. 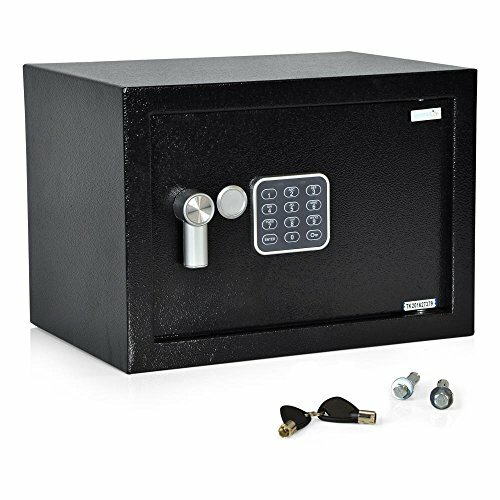 A built-in safety component automatically shuts the unit off if it were to tip over. Fast and easy to assemble. For such a large unit, some consumers had concerns prior to ordering about how difficult it would be to put this propane heater together; those concerns were alleviated. Users reported that the instructions were easy to follow and the unit was built much faster than anticipated. Wheels make it portable. Customers said that the wheel base option made it easy to move to different areas of their patio. This feature also comes in handy for moving it to a storage area when it’s not in use. Sand leaks from base. Some customers said that sand leaks out of the cracks from the base. The sand is there to weigh the heater down so it won’t tip over.